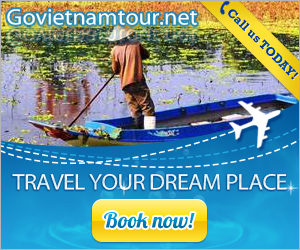 Tam Dao tourism area, Vinh Phuc is a familiar destination for Hanoi people when intensive hot sunshine comes. Tam Dao resort is located in a valley of 2 km diameter. Surrounded on three sides is three massifs; an extension on the south side, so refreshing breeze in summer, while north cold winds of winter is blocked by mountain, causing pleasant climate all year round. The weather is cool all year round with an average temperature of 20 to 22ºC. 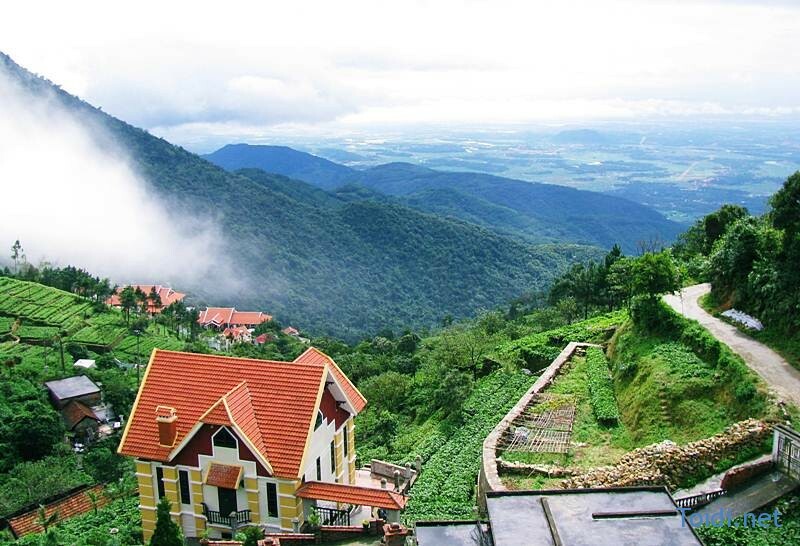 In summer, tens of thousands of tourists visit Tam Dao to relax and enjoy the beautiful scenery. Moc Chau is considered the largest concentration of tourism resources of Son La in particular and northern northwest region in general. The climate is typical resource of Moc Chau with an average temperature of 200C, drier winter than in other regions. Tourism here is not only relaxation, entertainment, sightseeing scenery, landscapes, but also festival cultural tourism of ethnic. In addition to the fascinating excursions on the tea fields, grasslands immense, bat cave, waterfall bib range in beautiful natural scenery throughout the four seasons, Moc Chau Plateau also hides the pristine forests of the natural reserve of 27,000 ha Xuan Nha wide with many animals, rare plants, etc. Unlike in previous years, now it is quite simple to get Sa Pa thanks to highway Hanoi – Lao Cai, only 5 hours, Hanoi people could get this town in fog to enjoy the fresh cool climate to escape intensive hot and dust in urban place. Nothing great than getting this misty town in the summer to escape the heat. This is a popular tourist destination. 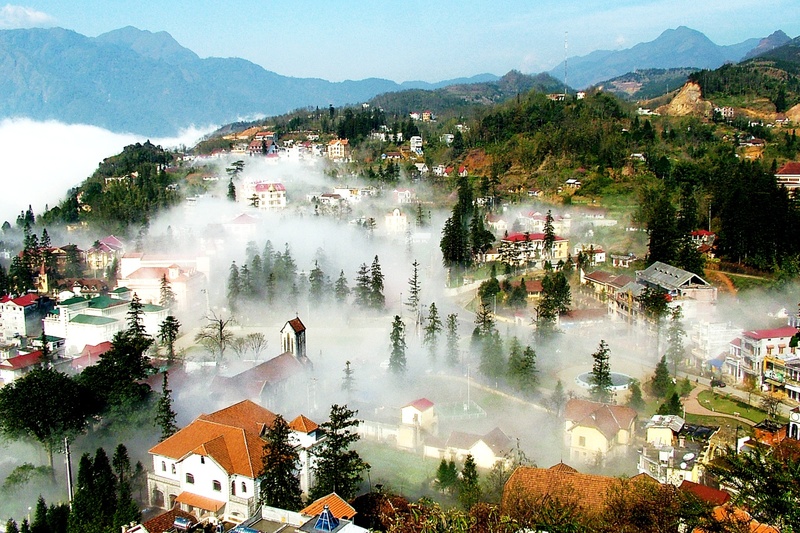 Sa Pa is about 370 km from Hanoi, it is not too hot in summer, but in winter the temperature is low, sometimes it snows; therefore, Sa Pa is considered a very reasonable tourist attraction to escape the heat of summer. Sipping a cup of coffee and contemplating Sa Pa in a summer day, it is still chilly in the morning with fog. 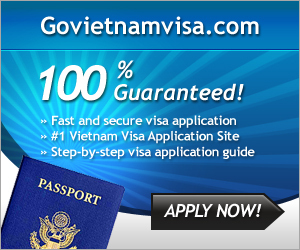 In the summer, although the weather is quite warm, it is not as hot as other regions in Vietnam. If you spend time in this town in the period between April and May, you will have the chance to see the wonderful scenes of many colorful flowers and green fields there. 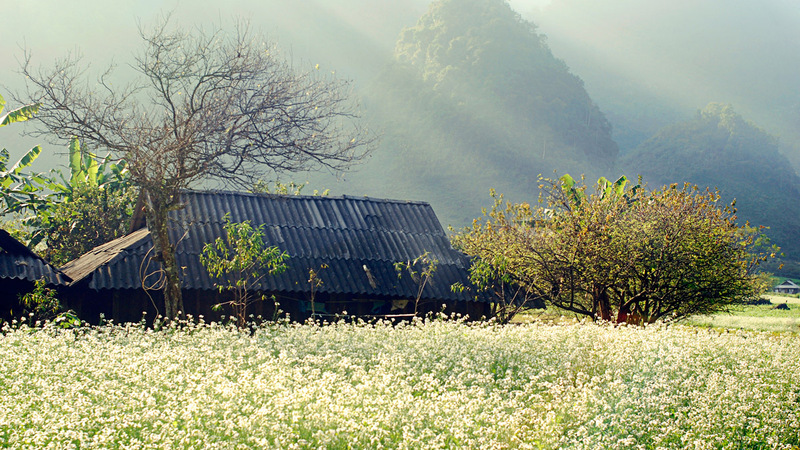 Many Vietnamese visit Sapa after the Lunar New Year to admire the blossoming cherry trees.